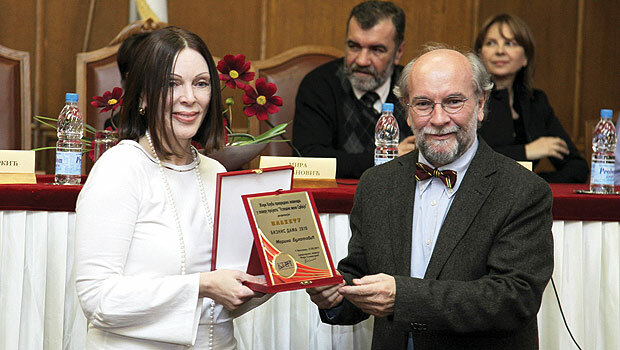 The Speaker of the National Assembly of Serbia, professor Slavica Djukic-Dejanovic, presented her with the “Business Lady” award during a function at the Serbian Parliament in Belgrade recently. Bulatovic presented the project under a program titled “Successful Women of Serbia,” which was organized by the Club of Economic Journalists. She said winners of the award have proven achievements in all spheres and are recognized for their participation and organization and realization of various projects. Since September 2007, Bulatovic has been living in Saudi Arabia. “In my country, very little is known about Saudi Arabia despite the country’s international importance,” she said. Bulatovic believes that prejudice is a major obstacle in personal relationships, in communication and in business. Through her personal commitment and professional expertise in the field of communications and public relations, Bulatovic has been working to improve the relations between Saudi Arabia and Serbia as well as Montenegro. Since 2008 she has been writing a regular column, “From the Arabian Gulf,” in the Business Magazine. “I have published more than 250 articles about the Saudi culture, tradition, architecture, economy and daily life in leading newspapers and magazines in Serbia and Montenegro,” said Bulatovic.